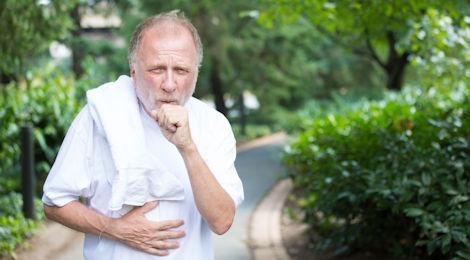 People with chronic respiratory diseases such as Asthma and more severe lung disease such as Chronic Obstructive Pulmonary Disease (COPD), the umbrella term for emphysema, chronic bronchitis and chronic asthma, are often less active and have a poorer quality of life. Symptoms such as breathlessness can create several challenges towards physical activity and everyday activities which is where supervised prescribed exercise can assist. Reduced level of physical activity leads to a combination of reduced capacity for activity and a decrease in confidence, which results in a cycle of inactivity as individuals become even more de-conditioned. The lack of conditioning makes everyday movement less efficient, hence requiring more energy and effort to perform normal activity for daily living. Resistance strength training has also been shown to be extremely important to increase muscle mass and strength, enhancing individuals’ ability to perform daily tasks and improve health related quality of life. Assessing you current level of respiratory fitness with the appropriate testing method, which can be as simple as the 6 minute walk test (for more severe lung disease) or more sophisticated such as the specific bike-based YMCA protocol testing for sub-maximal aerobic capacity (less severe lung disease). Retraining correct breathing techniques, including education on coordinating breathing effectively with movement. Gradually progressing strengthening exercises to improve capacity to perform general everyday activities as well as carefully progressing aerobic exercise as lung function improves and the individual is able to tolerate more exercise. For people with moderate to severe COPD, a weekly exercise maintenance regime (minimum of 2 days per week) under supervision of a health practitioner, combined with a home-exercise program, is an effective approach for maintaining improvements in lung function in the long term.